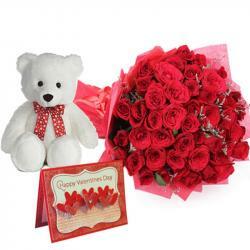 Product Consists : Bunch of 24 Red Roses, 12 Inch Teddy bear along with Assorted Chocolate Bars (Worth Rs.200/-). 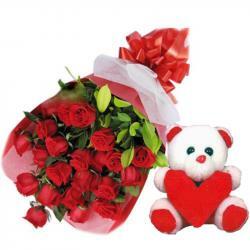 Gift your love ones with lots of love on this Valentine by sending them exclusive gifts from Giftacrossindia. 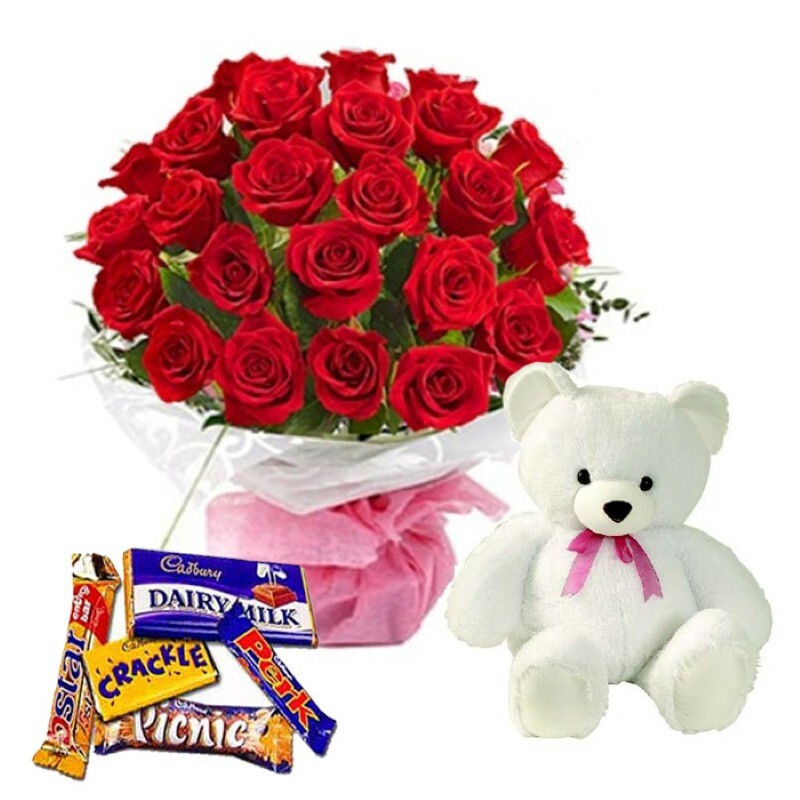 Give a super surprise to your love ones on this valentine love season by sending lovely Treat which contains with Assorted Chocolate with bouquet of Red Rose and very cute teddy bear will be a perfect gift on this Valentine's Day. Assorted Chocolate is made with Fresh Milk and Cocoa beans. Every Chocolate lover will enjoy eating this different Chocolates Bar. This chocolate received from a love one and with cute teddy and Red Rose is best gift ever gets on Valentines Day is for your recipient. 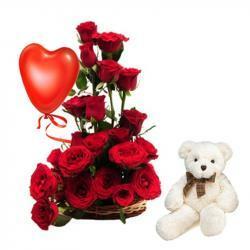 Product Includes: Bunch of 24 Red Roses, 12 Inch Teddy bear along with Assorted Chocolate Bars (Worth Rs.200/-).